The explosion in smartphone sales has challenged the imaginations of creatives to come up with marketing ideas tailored for the mobile space. Along with location-based marketing, augmented reality applications really came into focus for many brands, from luxury companies to small businesses in 2010. 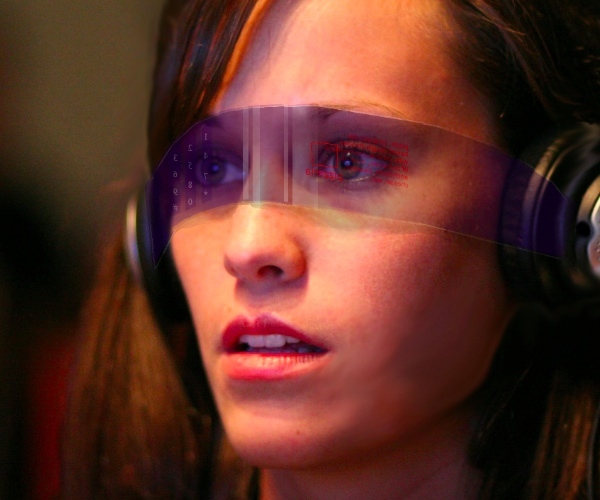 Indicatively, according to figures from ABI Research, the market for augmented reality (AR) in the US alone is expected to hit $350m (£218m) in 2014, up from about $6m (£3.8m) in 2008. Marketers try to engage consumers with relevant content and interactive experiences making the most of the “wow” factor of the relatively new communication tools. The question is has AR marketing managed to grow into something truly useful for both marketers and consumers or will its hype fizzle out like cheap champagne? Brands in 2010 have used AR technology for utility-based and innovative applications that amplify the customer experience, managing to engage an increasingly wider audience. Let’s take a look at this years most talked about case studies. Adidas Originals Augmented Reality Game Pack: Adidas turned Originals sneakers into a game control device by adding an AR code on the shoe’s tongue. When held in front of a webcam, the code provides access to a number of different interactive games on Adidas website which the players can navigate with their shoe. Ben & Jerry’s Scoop of Happiness: Ben & Jerry’s iPhone app with the Moo Vision augmented reality feature generates images related to the flavor you’re scanning which you can click on to find out more info and share with your friends on social networks. Toyota Scion tC Take On The Machine: Toyota topped off it’s digital campaign for the 2011 Scion tC with an AR game on scion’s site. The user prints an AR marker which is used as a steering wheel to race with the new tC and win a spot in the global top 100 highscore board. Airwalk Jim Shoe: In November, Airwalk used an augmented reality app from GoldRun to launch invisible pop-up stores which sold a limited edition of the Jim shoe in New York and LA. To access the invisible store, customers had to use the app to locate virtual Jim shoes at dedicated locations and take a photo of the shoe to gain a pass code to the Airwark e-commerce site. Airwalk reported that since then its e-commerce site has witnessed the most traffic in the company’s history. Subject60: Volvo and EuroRSCG 4D teamed up for the promotion of the Volvo S60 by organizing five secret parties in Berlin, London, Paris, Milan and Madrid. In order to get an invite one had to find one of the code cubes, hidden in “naughty” locations around the city. The project was in collaboration with hand picked lifestyle bloggers and blog readers were given clues to discover the hidden cubes by using the Layar Augmented Reality browser. Toyota Auris virtual test drive: Toyota enabled car enthusiasts to create a virtual track, by printing off special markers to place around, and take a virtual Toyota Auris for a virtual test track. They also could record their test drives and share the clips on social networking sites, as well as the Auris microsite. Toyota offered a prize for the most innovative track with the winner receiving a super-deluxe home entertainment system to encourage a larger participation. BMW Z4: By printing off a special symbol BMW fans could drive their own BMW Z4 around their desk and colourful designs with its tyres. The videos and images taken could then be shared on social networks. Skoda Fabia RS Augmented Reality Test Drive: Yet another virtual test drive, this time transforming the user into a rally driver, making it more like a race car game, rather than a regular test drive ride. The user can then share his lap time with friends on Facebook. Nestlé Kit Kat Augmented Reality Gig: Agency Skive Digital of London created an Augmented Reality campaign for Kit Kat UK . Holding one of the special AR Kit Kat “4-Finger” bar packages in front of a webcam unlocked a one-off Scouting for Girls performance. The special packs also offered consumers the chance to win one of thousands of £100 Ticketmaster vouchers through Kit Kat Music Break. Virtual mirrors: Created by IBM and EZFace. The special kiosks were placed in stores in North and South America, Europe, and Asia, covering major cosmetics brands, like L’Oreal, Maybelline, Covergirl and Revlon. The shopper can take a picture and virtually try on makeup, while the “mirror” takes into consideration such things as skin tone, facial features, and product colour. The mirror can make recommendations and allow the consumer to share a virtual makeover image with friends online. Unilever’s “Share Happy”: Unilever created an interactive ice cream machine that asks consumers to share a smile on Facebook to get a free ice cream. Neuvo watches: Neuvo, a collaborative company from Montreal has created a free “try it before you buy it” iPhone app, which connects to Neuvo’s website and on-line store. Olympus PEN: Olympus created a viral product demo with which you can virtually explore the camera’s features and also allows you take pictures and using the camera’s various filters. Afterwards you can share your pics and videos with friends online. H&M: H&M used Goldrun’s app to enable shoppers in New York to try on virtually the clothes it features in its shop windows. The shoppers this way gained a discount code and share their looks with their Facebook friends. Seventeen.com and J.C. Penney’s AR Dressing Room: As part of their back to school campaign, Seventeen and J.C. Penny launched a virtual dressing room through which teens could “try on” clothing using a webcam, and shop their items of preference through the J.C. Penney website. .
Tissot Reality: Through its website Tissot lets users print and cut out a paper strip in order to try on virtual watches. Tissot showcased the application with an interactive Selfridges window display. This reportedly resulted in increasing in-store sales at Selfridges by 85%, while the YouTube views of the campaign have surpassed 70,000. Hublot: Swiss watchmaker Hublot launched an iPhone application that allows consumers to view the Hublot collection, design their own models and digitally trying them on. Girard-Perregaux: Yet another watchmaker that created an iPhone app that allows users to “try on” watches. Boucheron: The French jewelry house lets potential customers virtually try on products with use of their webcams by downloading an application from its website developed by Holition. HomeScan: US real estate agency ZipRealty through its iPhone application HomeScan allows its potential customers to look through their phone and instantly discover which homes near them are for sale (or recently sold). Homescan provides info like the asking (or sold) price, photos and distance from where the user stands. Iron Man 2: For the promotion of Iron Man 2 Paramount and Marvel invited Iron Man fans to take a look inside the Iron Man’s head. Through the movie’s website and with use of ther webcam, fans can try on Iron Man’s helmet take photos to download or share over Facebook and Twitter. Dutch Public Service Billboard: The Dutch government placed augmented reality billboards in Amsterdam and Rotterdam to raise awareness about violence against public service employees. The billboards augmented a live street view with a violent altercation, making onlookers realize the impact of their inactivity against violence. WWF: In an effort to raise awareness around the plight of the siberian tiger, WWF printed special t-shirts and distributed them online and to key stores in Moscow, with placed AR video mirrors that would instantly active the AR experience the moment a WWF t-shirt was detected. The idea was to simulate what a siberian tiger experiences when it gets shot. Forever21: Fashion brand Forever21 installed an augmented reality billboard in Times Square this past June, in which a model dressed in Forever21 clothes seemed to interact with the crowd by taking photos of the passers by or selecting people, picking them up and throwing them into a Forever21 bag. Streetmuseum: Museum of London’s iPhone app overlays specific locations around London with historical photographs mixing past with present. The app guides the user to these locations with the use of map or GPS. Condé Nast Traveller City Guide: Condé Nast Traveler spiced up its iPhone apps by adding an augmented reality feature which allows the traveller to discover nearby attraction simply by scanning the area around with the iPhone camera. Virtual Vacay: Hotels.com created Virtual Vacay, that enables users to take a virtual tour of ten US cities and find out information about local events and hotels in a fun way. The virtual tourists can even even send personalized post cards from their virtual travels to their friends. Seer: IBM’s Seer application helped its users navigate Wimbledon 2010. The users could find information about the closest cash machine’s location, the wait time for certain services and even see live video from the matches, through their iPhone or Android camera. Summing up, in 2010, branded AR application focused more on utility features, like Olympus PEN, that invited the consumers to interact with the products in order to drive sales. Many of them, like Adidas Originals, also used gaming mechanics in order to engage their customers and make their content viral. Another trend in AR marketing for 2010 was personalization. With gen Y remaining indifferent towards celebrity endorsed products, advertisement campaigns, like the Forever21 billboard, preferred to make the consumer their star, rather than a Hollywood actor or a supermodel. The future of AR evolves super fast, will brands be able to catch up? Recently we posted about a Japanese device that can augment taste, could it be that with some AR magic, in the next Nespesso ad we will be, not only able to share a cup of coffee with George Clooney, but enjoy our Nespesso’s aroma too? Claire Boonstra, Layar Co-founder told us that her favorite AR case for 2010 is the iPhone and Android game Find Copān, which invites the players to a smartphone treasure hunt around Dublin City Centre. The game is inspired by the Mayan civilization and challenges the participants to locate virtual ancient tombs & treasure chests in order to win prizes. Len Kendall, co-founder at the3six5, Digital Account Supervisor at GolinHarris and writer for GOOD singled out the Star Wars Arcade Falcon Gunner: “ I love this concept because it falls into the augmented reality realm and it’s incredibly simple. As of today, many AR applications are unapproachable to the masses because 1) they’re not used to the technology or 2) they don’t see the investment necessary to learn the nuances of individual AR apps are worth the time of the outcome. In other words, the entertainment or utility of these applications isn’t outweighing the input. Macala Wright Lee, CEO of Fashionably Digital and founder of FashionablyMarketing.Me shared with us her favorite AR applications: “One of the best uses of augmented reality for 2010 was Tissot’s Augmented Reality Window (mentioned above) at Selfridges London, where shoppers that passed by were able to try a selection of 28 different styles and select the finish and color of their wristband. This is a great example a retailer to use technology in it’s visual merchandising; the interaction with the product from outside the store is more likely to draw them in! What were your favorite AR marketing case studies in 2010?